Ok, bought off a friend,was in use until jan when engine lost power.It now turns over but will not start. So being sold as a non running project.Still has a current mot til November 19th 2019. Tatty condition as shown. Please only bid if you are after a project you wont be driving it home.Cash on collection preferred from Chadwell heath Essex.dont forget to bring a van….. 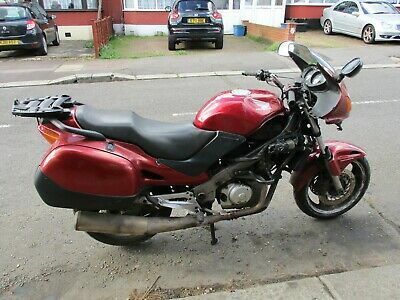 This Honda Deauville 650 Spares Or Repairs Long Mot Project is located in chadwell heath, Essex, rm64sx and is being sold on eBay by red-mallard.